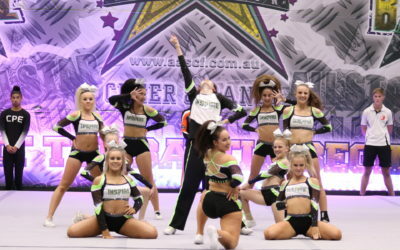 Inspire Athletics was opened on the Gold Coast to provide a safe, supportive and positive environment for athletes to participate in the amazing sport of cheerleading. Our coaches are genuinely interested in the wellbeing of each and every athlete and has a desire to make them better athletes and provide learning opportunities in cheerleading that apply to real life. In our program we have witnessed children and young adults develop confidence, resilience, determination, leadership and perseverance. We do not see failure in cheerleading as a negative because in life there will be failures, and these are learning opportunities for us to grow. Our gym is a place where athletes feel at home, team mates become best friends, and our members become our family. We are a highly competitive gym with excellent results, however do not focus on the win but rather the journey because when the years pass you may lose the medals, outgrow the jackets but you will always have your memories. Can I try a class to see what it’s like? Yes! Anyone is welcome to come and try a class for free before deciding whether cheerleading is the right sport for you. Please contact us to book in for your free trial class. No experience is necessary, we will teach you everything you need to know for cheerleading. What is the difference between recreational, semi-elite and elite? At Inspire Athletics we have classes to suit all commitment levels. We love all of our teams and make sure they each feel special! Our recreational Cheestarz classes train one hour per week and learn the basics of cheerleading. Our semi-elite teams train once per week and compete in 3 local competitions and perform at community events. Our elite teams train twice per week and compete in 5-6 competitions. How do I start Cheerleading? You can pay upfront for the term or weekly, fortnightly or monthly on Ezidebit. Do I have to do all competitions? Yes, you must compete at all competitions unless arrangements have been made with staff. Do I still pay for missed lessons? Yes, all missed lessons (excluding Cheerstarz) must be paid for. How do I do my hair and make-up for competitions? We have video tutorials on our Inspire Athletics Members Facebook page. Do I need to attend classes if I am sick or injured? Yes, unless your illness is highly contagious. All sick / injured students must still come to class to watch so that they don’t miss out on any changes to their routine. What happens if my friend doesn’t make the same team as me? Our teams are chosen based on several different factors including tumbling skills, basing/flying skills, coach ability etc. Unfortunately we don’t select teams based on car pools or friendships. Our teams are successful because of our selection process. Every athlete is a valued member in their chosen team. Please arrive wearing comfortable fitness/sports clothing such as tights and a t shirt and joggers. When you register with us you will receive your training attire. Can I just do tumbling? Absolutely! Our tumbling classes are open to everyone and are casual $15 per class. Yes we have a parent viewing area to watch training. This is a monitored space and is good vibes only! We are super excited to reveal our new uniforms! These will be worn by Lady Bliss at NCA this year, and also Divinity at worlds this year! Following that our Level 5 athletes will be wearing these for 2K18. We love them and think you will too! !